Rate this Article Are you new to playing online slots and are confused what with all the unique online slots terminology? Well, this article is written just for you! Educate yourself and learn all the online slots terms and phrases you’ll need to know! Starting out playing online slots can be quite a daunting affair. Not because the gameplay is difficult or anything like that, but it does have a slew of terms and phrases that you don’t normally encounter in your daily life. Not to mention, some words may mean one thing in the common English language, but they have a different meaning in a casino game context. So, if you’re new to all of this and would like to learn more about this unique terminology, well, you’ve come to the right place! Autospin is a slot machine feature that is very common in online slot games. What this does is basically help you spin the reels for a set number of times – the number is, naturally, determined by you. The slot machine will only stop after all the number of spins you’ve set have run out, but most machines have a button that allows you to manually stop an autospin if needed. Bonus feature or slots is a separate mini-game that will appear on the screen once a specific combination of symbols is obtained. The mini-game can vary widely but they are usually based around the concept of giving you a chance to double or even triple your winnings at the cost of potentially losing all of your current winnings. You usually can’t opt out of a bonus feature, however. The term that slot players use to describe a winning spin. The win can be either big or small. The act of betting on multiple paylines to increase your chance of getting a hit. Not all slot machines offer this offer this option, however. This feature usually appears in Bonus Feature where you can increase your winnings by multiplying it by a fixed number, a.k.a. “the multiplier”. Similar to the bonus feature, not all machines offer this. 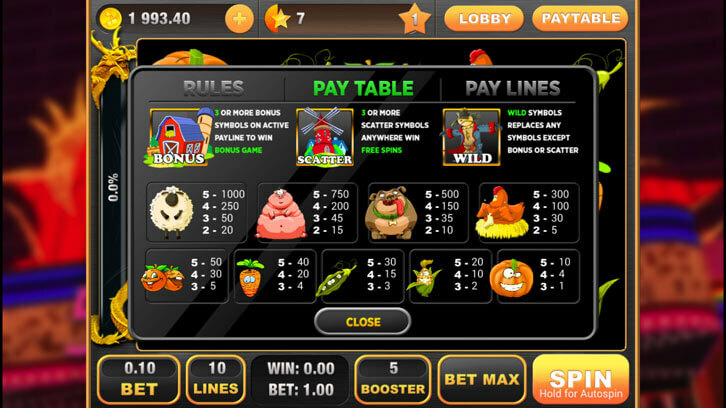 Payline refers to the combination or pattern of symbols or icons you need to win. The symbols in the winning pattern are usually linked up using a colored line and hence, the term “payline” is coined. The total cash winnings you get from a hit; cash that you can then withdraw into your bank account or virtual wallet. Similar to a game guide, a pay table lists all potential winning combinations you can get, as well as let you know whether or not a slot game has bonus features and how you can play the said bonus feature. They are sometimes shown at the top of a slot game, but sometimes, you can find them hidden away under the Info button. “Pokies” is simply another word for “slots”. It is more commonly used by Australians and New Zealanders. The barrels that display the symbols of a slot game. These barrels are spun by you, the player, in hopes of getting a winning combination. Different online slot games will provide different number of reels, but the 3-reel slot is definitely the most common (and traditional) type of slot games you’ll encounter. The percentage in which the money you wagered goes back to you in the form of winnings. Most slot machines have an RTP of between 88 and 95%, but if you’re lucky, you might find some that have an RTP of 98%. When landed, a Scatter symbol will grant you a free spin. Sometimes, you may land more than one Scatter in a single spin. If that happens, you may trigger a cascade of free spins which may in turn, activates other bonus features of the slot game. The satisfying sound of coins clinking against one another. This sound is common in online slot games, especially when you get a hit. This basically means spinning the reels in a slot game. However, unlike the physical slot machine where you pull the lever to spin the reels, online slot games usually require you to click or tap on the “Spin” button to spin the reels. The pictures you see on reels in a slot game. They form combinations that will spell out a hit or not. Like the Wild card in UNO or the blank tile in Scrabble, Wild symbols can be used to replace any other symbols in a winning combination. They can be stacked (have multiple Wild symbols in a single combination) too. Want to learn more? Well, we’ve got a guide to Canadian slots gaming that you might be interested in. You can learn more about online slots in general before you start searching for a suitable online casino site to spin those reels and get that jackpot!